Single Sentence Summary: On a quest to find help for their 13-year old daughter, a child on the autism spectrum, a couple gives up everything and becomes staff at a “camp” designed for kids with special needs like hers. Primary Characters: Alexandra Hammond – the mother in the book’s central four-person family. Her chapters use second-person to narrate the background on the family. Tilly Hammond – the Hammond’s 13-year old daughter who is extremely bright and creative, but also has many autism spectrum behaviors. She narrates a few brief chapters about the family from her own, unique perspective. Iris Hammond – the Hammond’s “normal” 11-year old daughter. Iris uses first-person to narrate all the chapters taking place in the summer of 2012 at Camp Harmony. Scott Bean – an “educational/parenting consultant” who runs Camp Harmony. 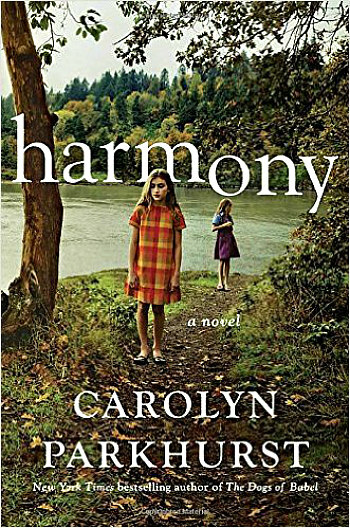 Review/Synopsis: Harmony is a story about a very loving family doing the best they can to find help for their young teenage daughter who is on the autism spectrum. It is not a book about autism itself. It doesn’t take a stand about how autism may or may not happen. It doesn’t offer fixes or solutions for parents of kids with autism. It doesn’t try to represent every family affected by autism. 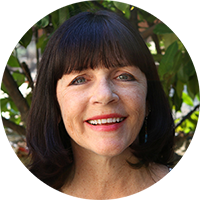 What Carolyn Parkhurst does, instead, is paint one very clear picture of what one family lives with on a daily basis in trying to help two daughters they love very much and the lengths those parents are willing to go to in order to find solutions for their special needs daughter. As Harmony begins Josh and Carolyn Hammond, together with their two daughters, are in their car traveling from Washington DC to Camp Harmony in New Hampshire. This is a brand new camp that is specially designed to help families with children that have autism related concerns, like their 13-year old daughter, Tilly. Tilly’s sister Iris who is 11 tells this part of the story. The Hammonds aren’t going as attendees to Camp Harmony, but as part of the permanent staff along with two other families. The camp is run by Scott Bean, a man Alexandra first encountered at a “Harmonious Parenting” class he was running. Alexandra’s chapters tell the heart-wrenching story of what life was like for Tilly, a bright, creative, loveable girl with many odd behaviors, tics, and compulsions. She show the reader how Tilly struggled in and then out of various schools, how hard her parents fought to help Tilly, the effect her behaviors had on the family, and just how much she was loved. Alexandra also tells how her family came to believe that Scott Bean had a special set of skills that would ultimately teach them how to help Tilly fully realize her potential. She makes the reader understand why the family was willing to give up everything they had and make a leap of faith to join Scott Bean at Camp Harmony. Iris provides many valuable insights for the reader. She builds the family dynamics as they enter a new way of living, tells us in heartbreaking details how hard it is to be the “normal” child and to in many ways be the big sister, even though she’s younger. Iris shows us the stark reality of the camp, how hard everyone has to work, how Scott is the one in charge and how everyone has to follow his rules, even the grown ups. Iris is the one who begins to give the reader the feeling that something about Camp Harmony, and Scott Bean in particular, isn’t quite right, maybe even very wrong. Definitely want to check this one out. Thanks Susie.